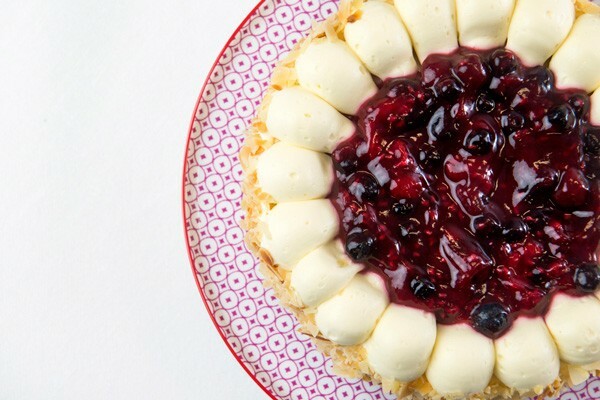 The Mixed Berry Cheesecake is lighter and tangier than your traditional cheesecake. 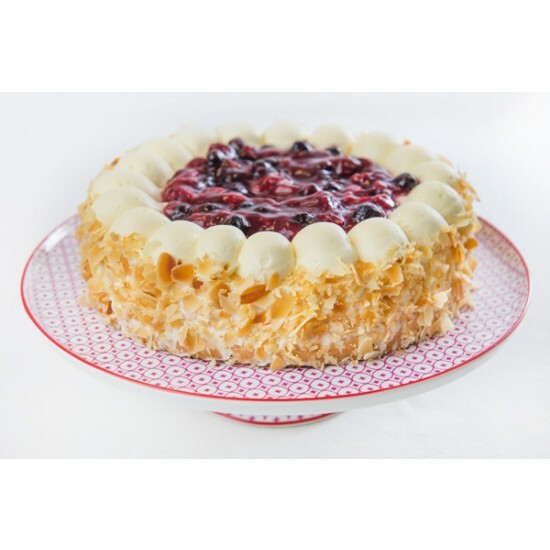 With a pool of beautiful fruit sauce made from whole Raspberries, Blueberries and Cherries on top and a divine buttery, macadamia nut biscuit base, this really is berry berry good! 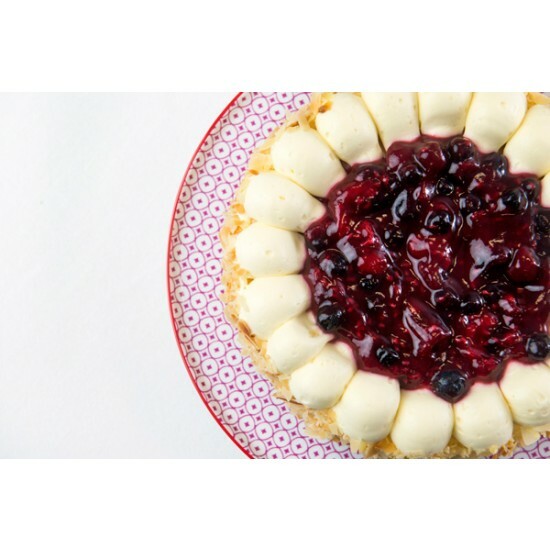 The berries being real fruit give a superb contrast to cheesecake filling. Loved the macadamia in the pastry. A superior product. Sensational cheesecake.. Loved the macadamian base, the silky smooth filling and the berry top..